This corner plot has lots of potential. Want to run a small business from home, take on an extra tenant for additional income, the options are limitless. This unique property offers 4-bedroom family home, with two bathrooms, one full the other an en-suite. An open plan living area, large enough to accommodate a lounge and small dining room flows into an open plan kitchen with gas hob and the benefit of separate laundry area. A cosy undercover entertainment area with built in braai forms a central part of this home. 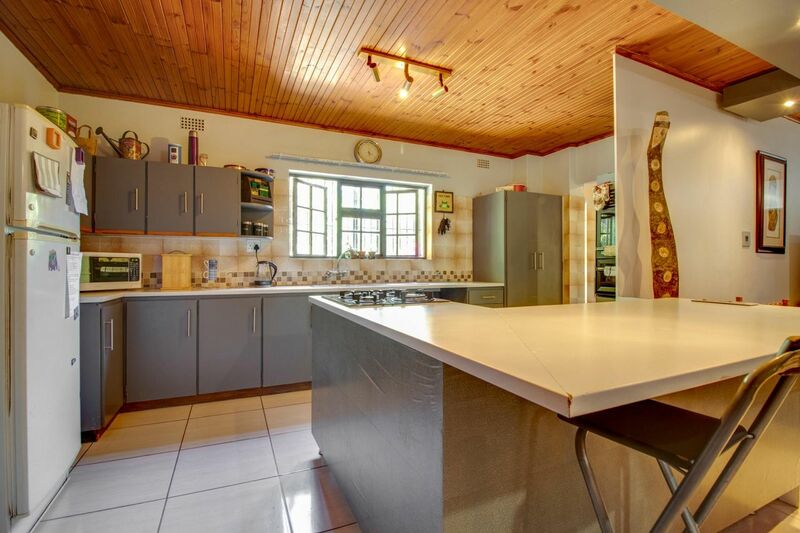 A separate flatlet attached to the main dwelling, which is separately metred creates an opportunity for extra income, either through a spacious office or tenanted space. Flatlet contains, a bedroom, 1 living space and en-suite bathroom. Kitchenette with gas hob available. Don’t Delay, make your appointment today!